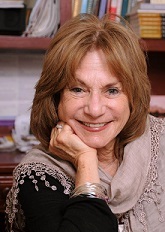 The Healing Power of Ben’s Bagel Store – Judith Ruskay Rabinor, Phd. Just last year her father had passed away, she said ruefully. She had “sort of” reconciled with her mother, who now lived in New York again. And her eating disorder was a thing of the past. “What do you remember most about them?” I asked. In the split second between my question and her response, my mind flashed back to the three years we worked together. I recalled how her anorexia had helped her cope with unbearable feelings of grief about her parents divorce, her feelings of abandonment about her mother’s relocating out West and the important work we did helping her and her father solidify their relationship. None of those were events were mentioned by Jenny. “Do you remember Ben’s—the bagel store around the corner from your office?” I was stunned. What stuck in her mind, she said, were our walks to the Bagel Store. How she had looked forward to every Tuesday and Thursday! Her eyes filled up as she spoke. Did I remember how we’d walk to the bagel store, each select a bagel, walk back to my office and eat together? “Like I told you on the phone, Doctor, Jenny isn’t talking much.” Walter pursed his lips and spoke in a low voice. Jenny, his sixteen-year old daughter sat across from him staring out the window, twirling a strand of curly, black hair around her index finger. We’d been in my office for twenty minutes. Jenny had barely spoken. From a corner of my eye I noticed Jenny peeking over at me, but when our eyes met, she shrugged, tossed her thick hair back over her face and looked away again. A memory of my teenage years emerged: How would I have felt being dragged to a therapist’s office? How would I have survived if my mother had left me and my father—and moved to California? “Have a seat in the waiting room, please,” I said to Walter. I hoped my voice was gentle. Hand on the doorknob, he turned back to me. His question unnerved me. The year was 1978. A recent PhD, I was just out of graduate school. Anorexia nervosa had never been mentioned in my seven years of graduate training. “I don’t really know much about anorexia,” I told Jenny’s father, “But I’m going to look into it.” I hoped my voice was sturdier than I felt inside. “You heard me say I don’t know much about anorexia,” I said to Jenny when the door closed behind Walter. “But I do know that people with anorexia starve themselves and are obsessed with losing weight. What about you? Are you having trouble eating?” Jenny shrugged. “Your shrug intrigues me,” I said. “How old were you when you learned to shrug?” Jenny shrugged again. “Are you the girl who doesn’t eat and doesn’t laugh?” I asked. Jenny cracked a smile. “No smiling here,” I said. The smile swept across her lips. Jenny really didn’t know what was wrong or why she was so unhappy. And, she was reluctant to talk. How, I wondered, would I form a relationship with her if she wouldn’t talk? I began asking questions. “I was a girl who hung out at the mall, ate pizza and had sleep over dates with friends,” she recalled as she remembered what was going on in her life the year prior to our session. She had no idea when or why her ‘old self’ had vanished. But now she spent most of her time home alone studying. Yes, she had lost some weight. No, she didn’t know how much. Why didn’t she eat? Because she was so busy. And because she wasn’t hungry. Yes, she did feel fat, even though she was 5’5” and weighed less than 110 pounds. To my amazement, she agreed to come back the following week. “You ask good questions,” I said. “Unfortunately, most simple questions have complex answers. But yes, people can get over things. People can and do heal. Can we talk more about that next session?” He nodded. It has been said, “When the student is ready, the teacher appears.” Jenny was my first teacher. Within a week I joined a study group focusing on a new epidemic, anorexia nervosa. There was no way I could have imagined I would spend almost three decades working with eating disorders. Jenny began coming to therapy twice a week. From the beginning, I was challenged: Getting her to talk to me was not easy! Often she came in, sat down and said nothing. She claimed she had nothing to say. Knowing little about people with eating disorders, I assumed this difficulty was due to my inexperience. Little did I know that people with eating disorders have difficulty connecting with their own inner issues as well as connecting to others. So I did as I’d been trained to do. I sat back and waited. “Let the patient lead” was the prominent belief. But as I sat with Jenny, this philosophy seemed counter-intuitive. If Jenny wasn’t talking, how would I get to know her? Should I sit silently waiting and watching while she kept losing weight? It seemed like we needed to talk in order to connect, but —but as an inexperienced therapist, I didn’t want to violate the basics of good therapy. Eventually, I followed my instinct. I began to ask lots of questions, about her school, her friends, her family. About her dog Sandy, the clothing she wore, the stores she shopped in, the food she liked, disliked, ate and refused. The classes and teachers she liked and disliked. TV. Movies. You name it. I dug deep. And even though I wasn’t sure I was supposed to be so “active,” Jenny began to talk. Therapy, Id been taught, was about developing insight. Insight required reflection. Id been taught that people grow when they reflect on their experience, but Jenny, like the majority of anorexics was concrete, unfamiliar with reflection..
How to help her be more reflective? Monkey see, monkey do, was what I’d been taught about raising my children. I wondered if it would work in therapy. Perhaps if I reflected, she would too. Perhaps if she saw my vulnerability, she’d let me see hers. She might even let me see what lay beneath her eating disordered symptoms. The next issue I faced was fear. The life-threatening aspects of anorexia frightened me. Created a sense of urgency. Within a short time, I faced the limits of my own psychological expertise. In response, I developed a treatment team. Jenny began seeing a medical doctor and a nutritionist. Walter and Jenny began family counseling. a trusting relationship, the basis of successful therapy. If we collaborated, would she trust me? But if we didn’t collaborate, how could we benefit from sharing information and impressions? Even though I did get Jenny’s permission, I often felt like I was violating another basic of good therapy 101. Finally, if Jenny wasn’t eating, I believed my role was to find out why she wasn’t. I’d been taught that the goal of psychotherapy was uncovering the meaning of the symptom. Insight would lead to change. But finding the “meaning” of Jenny’s symptoms was impossible—at least when we began. And, it seemed to me, of secondary importance. My priority was keeping her alive. Wasn’t one of my roles helping her learn to feed herself, nutritionally as well as emotionally? But did good psychologist-psychotherapists really do that—help their patients eat? I wasn’t sure, but decided to take another risk. One day I brought in an apple. As I sliced it in quarters, Jenny spoke up. She was dying to eat it—and scared to eat it. We became curious about how a quarter of an apple held such power. Weeks later, Jenny brought in a pear. One day I asked her if there were any foods she used to eat but were now off limits. Her answer: Bagels. Voila: Planning a walk to the bagel store was born. Jenny and I met for three years, twice a week. We talked, reflected, analyzed dreams, looked over her college applications. We had family meetings, telephone sessions and walked to the bagel store many Tuesdays and Thursdays. She grieved over her parents divorce, her mother’s move, her older brother’s departure to college, her grandmother’s death. In the end, walking to the bagel store was the key memory she brought up on a windy day 25 years later. What was it about that store—or the walks –that lasted? Was the store a reminder of her mother’s love? Did the walks reflect our collaboration, and what heals is connections? Did her eating with me give her permission to eat with others? Was her relationship with the bagels a catalyst for her to feed herself emotionally as well as nutritionally? Did my stepping out of my role as “therapist” tell her she mattered to me—and I was willing to stretch our relationship? Was it that helping her eat that first bagel reminded her that she was entitled to feed herself—nutritionally and emotionally? What is it that makes some events in our life so memorable? In life, as in therapy, many profound questions have no sure answers. But what I take away from this experience is that not have I impacted my patients, but they have shaped me as well. As often happens, patients we work with intensively early on in our careers touch us deeply and when we are touched, we stretch. Meeting Jenny years reminded me of our work together: how both of us grew, struggled to find our voices and learned to take up space.